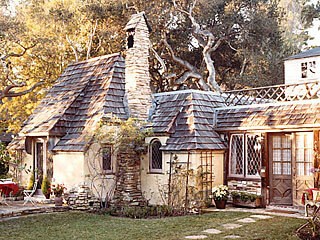 If I could have any house I would want, I think these would be it! I’ve always dreamed of living in a little cottage with loads of charm, window seats to read on, old wooden floors, a fire in the old stone fireplace, a garden with tons of bright flowers spilling everywhere….this is my kind of house! Just looking at these houses makes creative wheels start turning. To have a rounded door like that!? 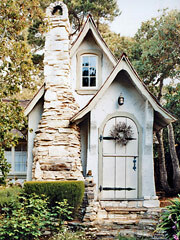 I don’t care so much about the size and practicality of a house, as much as how it makes me feel. 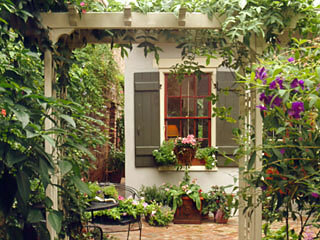 Old homes just have a spirit and character that can’t be replicated in newer, larger houses. And, although they take a lot of time and effort to maintain, seeing the transformations that can take place when you love and care for your house is worth it!